You may have heard that the Governor of Mississippi recently signed into law a bill which would prevent gay activists from bringing legal action against clergymen, bakers, and florists who decline to participate in homosexual weddings for deeply held religious reasons. This kind of thinking is considered backwards and illegally discriminatory by those on the progressive left who believe that lifestyle, gender, and matrimony are matters of preference. It really shouldn’t be much of a surprise that more consertative parts of the country would object, and would try to push back against the tide. But to hear the Left tell it, it is morally wrong, and should be punishable by law to not allow their march to a society in which no one’s actions should be judged against the Standards which have held for centuries to continue unabated. It was reported in March that about 1,000 tickets had been sold and about 3,000 tickets needed to be sold to break even. It’s interesting that he would cancel a show in Biloxi because of HB 1523, yet he’s played concerts in India where it is illegal to be gay. So, Mr. Bryan Adams, was your decision to cancel your show in Mississippi based on having your sense of justice be so deeply offended, or is this maybe a bit of opportunistic career preening, or is it just plain old poor ticket sales? There was a time in Mississippi when getting an Initiative for a Constitutional Amendment to the ballot was the hard part. If it made it to the ballot, it was almost a done deal. This time, despite all of the obfuscation and out of state money, it appears that the much balleyhood Initiative 42 is going to defeat. In my mind, it all came down to taxation without representation. 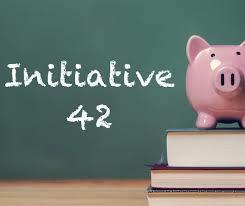 42 would have required priority funding for K-12 at the expense of other agencies and programs. If the Legislature did not fund K-12 to some undetermined level, the Courts would have the power of the purse. It was an amazing sleight of hand, sold to the voters as the greatest thing ever for K-12, all of course #ForTheChildren. Opponents of 42 were painted as being against education, and of course, racist. One of the Pro-42 tv ads that were ran showed a group of school kids singing “This Little Light of Mine” in the background, all touchy-feely-feelgood mumbo jumbo. And you just know, if there were any classrooms where this particular song were being sung, these same Pro-42 folks would be raising hell about religion in the class, yada, yada, yada. I’m real proud of my fellow Mississippians for rejecting the guilt-trip, seeing through the smoke screen, and sending this purulent piece of filth back to the do-gooders. 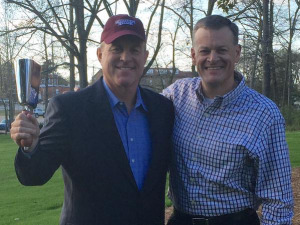 #HailState has become #HowlState as Ben Howland is set to become the new head coach of the men’s basketball program. Howland is returning to coaching after a two year stint as a TV analyst, following his very successful run at perenial basketball pwerhouse, UCLA. Things happened quickly this weekend in Vegas, as the Saturday announcement of the non-renewal of Rick Ray’s contract was within a few hours followed by informed rumors that Howland had emerged as the leading contender for the position. 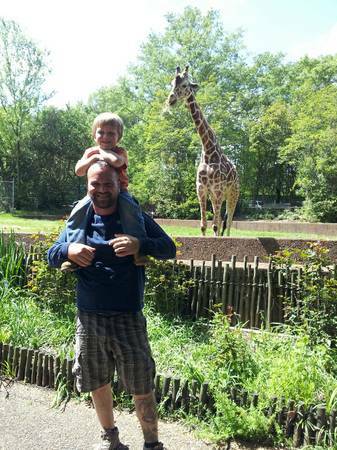 Howland had reportedly wanted to continue his coaching career at a football oriented school. No doubt, Howland will get his wish at MSU and the SEC. Consider this quote in an article from Bill Plaschke, LA Times. In typical Howland fashion, he then tightens his jaw and makes a promise. Yes, sir! It’s a great day to be a Bulldog. The school will officially announce the hire on Tuesday at 2:30 p.m. at Humphrey Coliseum. Fans are invited to attend. Just in case you, or someone you know is in need of Jahred’s body part, you can contact him at 7six92one60four94. I don’t know if Obamacare covers this or not. Game week, baby. What can I say. You want to hear superlatives and over used cliches, go somewhere else. None of that shite here. 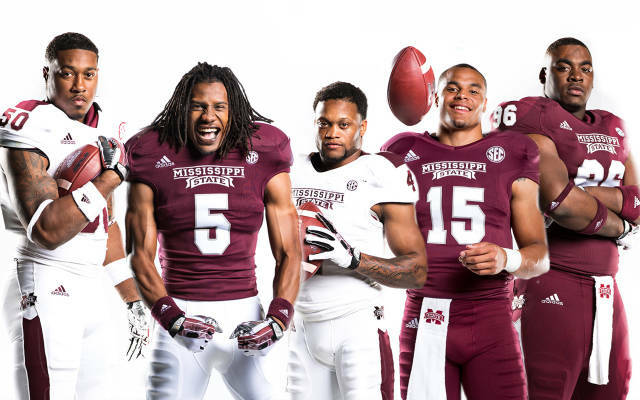 Five of my Bullies have garnered pre-season all-sec recognition. Southern Miss has been down for the past couple of years, after having been one of the more consistent winners in Conference USA forever. They really want to get back on track against State, but it just ain’t gonna happen. In fact, I pity the fools. I love this time of year, don’t you? 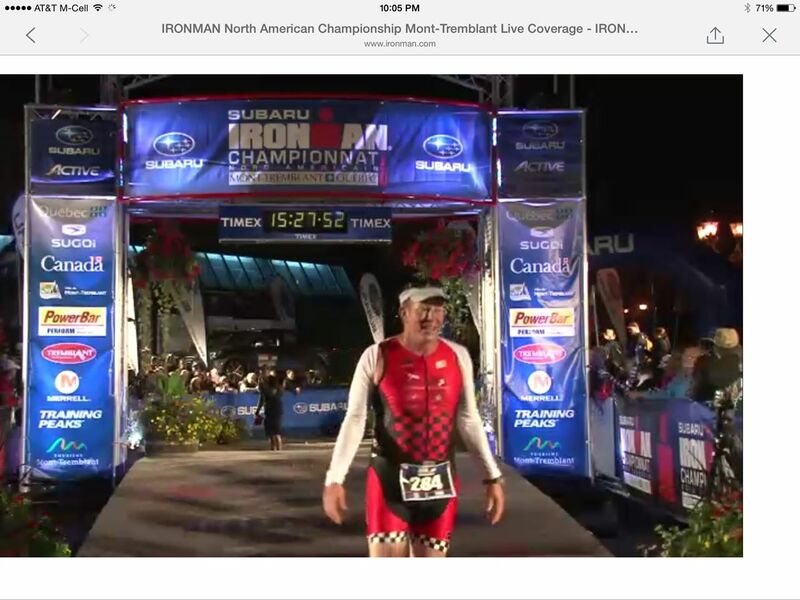 In the North American IRONMAN Championships, my brother-in-law Todd Wilson has just completed his amazing run in the 50-59 age category. Fifteen hours, 27 minutes, 52 seconds. Let this sink in…. The first leg, a 2.4 mile swim. The second leg, a 112 mile bike ride. And finally, a grueling 26.2 mile marathon run. I can’t wrap my head around it, and I am so proud of this guy. I’ll tell you his incredible story some day. So glad to know you, brah. Congratulations! !